Many thanks to our bidders so far! We have qualified for the final round of the Stanford Innovation Challenge. 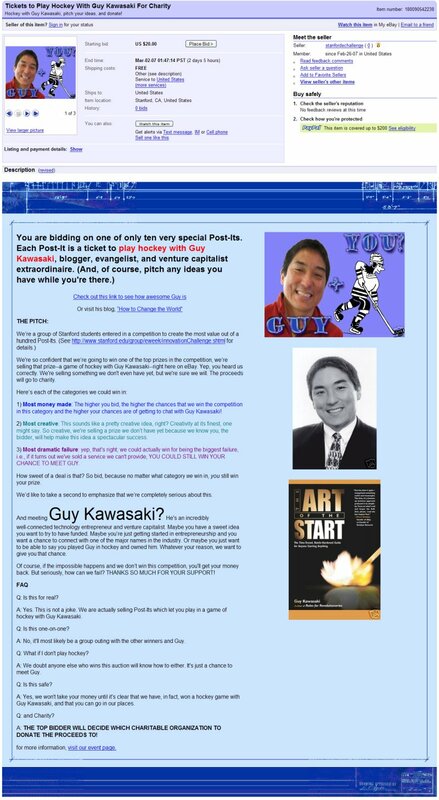 Keep on bidding and remember, the higher you bid, the more likely you will be able to meet Guy Kawasaki!